Happy Thursday! Phew, short weeks always seem longer than regular weeks, yes? Or am I being too dramatic? Nevertheless, it’s Thursday, which means link-time goodies for your eyeballs and brain. Enjoy! 1. 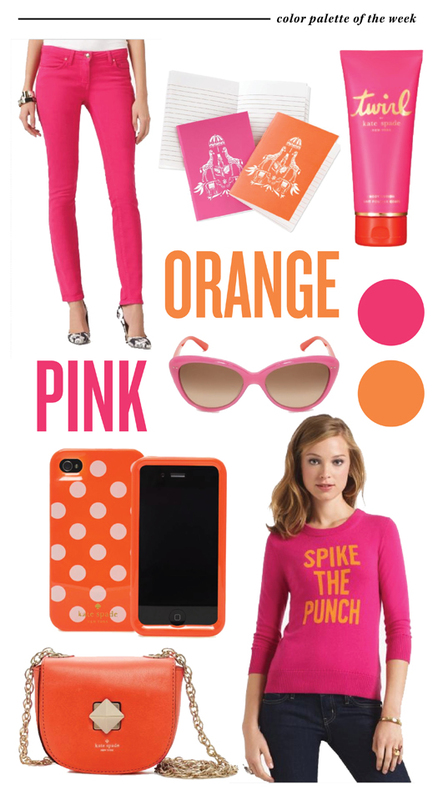 Check out this pink-orange color palette from Matchbook Mag! 2. From Gaiam: Ten ways to green your pet. NO, not by spray painting them! Haha. Great tips here for the eco-conscious human companion. 3. The web’s all up in arms about Pinterest and copyright. Here are two good articles about what you can do. From Mashable: Websites can now block Pinterest. Great idea if you don’t want readers to pin your pages! From GeekMom: excellent advice about fair use, copyright, and Pinterest etiquette. 4. 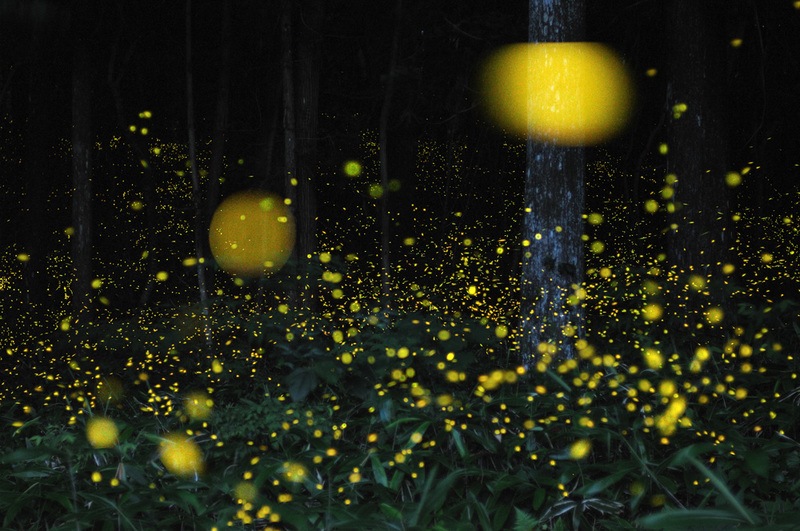 Time-lapse photos of fireflies: gone viral! Via Wired. Gorgeous! And the accompanying article about how the photos went viral is very interesting. Also, the exhibit on bioluminescence (which the article mentions) at the Museum of Natural History (in D.C.) is SO COOL. Check it out if you’re in the D.C. area. It’s fascinating! 5. Jeff Goins reminds us why writers need to read. It always seems like duh to me, but whatever it is you do, you must know your craft. That means reading with a critical eye. 6. Make your own perfume locket! Via How Did You Make This. Petroleum jelly skeeves me out, so I’d probably use a substitute, myself: coconut oil, maybe? Would be great in any kind of little tin, too! 7. Eat, Spin, Run, Repeat reminded us why artificial sweeteners are so nasty. They’re addictive and toxic, for one thing (er, two things). Stick with whole foods, friends! 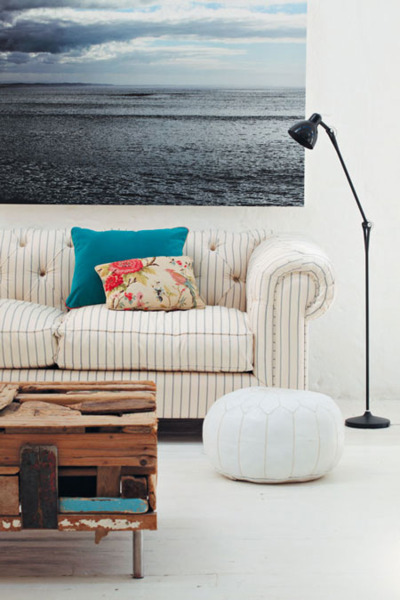 I loooooooove that ocean photo against the stripey couch. 10. Or how about a low-sugar chocolate chip cookie cake? Via Pure2Raw. Can hardly wait to make this one. Look at that awesome frosting ~ can you believe it’s made with avocado?? Aaaaaand, I’m out! Have a fantastic weekend, you! Thanks for including my s’mores cupcakes! This is a great list – love that pink/orange color palette. Reminds me of summer! Sure thing! They look so good, I can’t wait to try them out! I know, pink and orange are so unexpectedly good together. Thanks so much for the mention Andrea!! I’m totally checking out some more of these links – the locket thing sounds like such a cool idea! You’re welcome! It’s a great article and definitely worthy of sharing 🙂 Thanks for stopping by! Weather is great so I’m heading to the beach!!! what about you? Love the pink & orange. Fabulous. I know, right? So cute! 🙂 Thanks for stopping by!